A peaceful stroll among the medieval streets of a Greek Island village can lead to chapels like this. I love the afternoon sun, the soft playful light and the shades the buildings create. 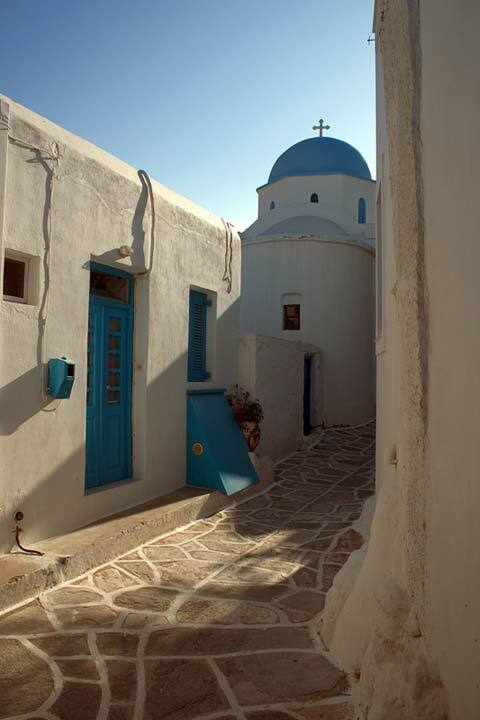 The chapel can be found on Paros island in a vilage called Lefkes.